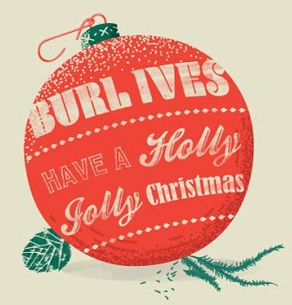 The ATL Collective brings “The Very Best of Burl Ives Christmas” to life at Serenbe. Snuggle up with your sweetie, friends, and family for a unique holiday experience at Serenbe’s Art Farm. Everyone’s Christmas favorites will come to life on stage as we kick off the Holiday Season at Serenbe. Artist include Cicada Rhythm, Marshall Ruffin and Kyshona Armstrong. Custom cocktails will be available from Chef Philip Meeker featuring American Spirit Whiskey and Old 4th Distillery to keep you warm, as well as fire pits for roasting s’mores. You can pre-purchase drink tickets as well as s’mores kits, or purchase them at the show. Doors open at 4:30pm and the show will begin at 5:30pm. General Admission pre-sale $28, at the door $30. Seated General Admission pre-sale $35, at the door $40. Drink Pre-Sale $8 per ticket. S’mores Pre-Sale $6 per package. The two types of tickets are General Admission, which allows you to bring a blanket to sit on the hill, and Seated General Admission, which provides a seat in front of the main stage. Tickets for both are limited. Tickets are non-refundable. No outside food or beverage is permitted. What are my transport/parking options getting to the event? There is parking onsite at The Art Farm. What can/can’t I bring to the event? General Admission can bring a blanket to sit on. No outside food or drink is permitted.